If your perception of a Chinese-made smartphone still involves plastic and cheap knockoffs, then you might not have paid attention to the market for past year or so. Quite a few names have risen above the ranks to show the might of the East and their ability to innovate and blaze their own path, a path that sometimes takes them to the West. Take for example Huawei, one of the biggest names in China. With the entry of the Huawei Honor 7 into the European market, the manufacturer is trying to stay one step ahead of its compatriots. But how does it fare? Read on to find out. What review would be complete without an unboxing? Well, in all honesty, this review probably would. Gone are the days when boxes were twice, even thrice, the bulk of the device it hides. Taking perhaps a cue form Apple packaging wisdom, smartphone boxes today are a practice in minimalism and practicality. Less wasted material, better for the environment. There is very little in terms of design on the box itself, aside from the huge “7” engraved on the top. Of course, smaller boxes also means less room for freebies. The Huawei Honor 7 comes with just the bare essentials, which here translates to a charger, a USB cable, and the SIM tray pusher. Retail boxes will likely come with a few documents to comply with the minimal requirements of local laws. But if you’re expecting something like free earphones, you’d be very disappointed. 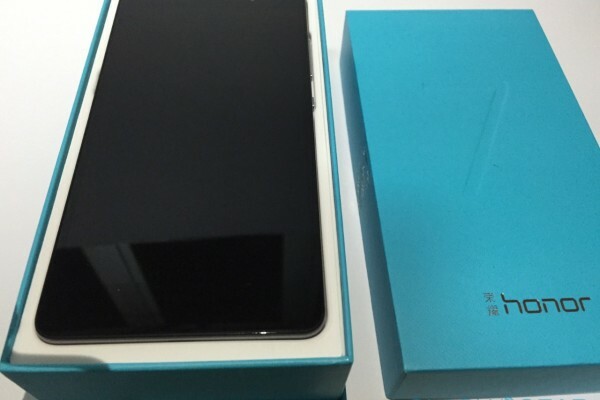 Immediately upon picking up the smartphone from the box, you feel the solid built of the device. This is both good and bad. Good because it banishes any doubt as to the materials used: no plastic here. 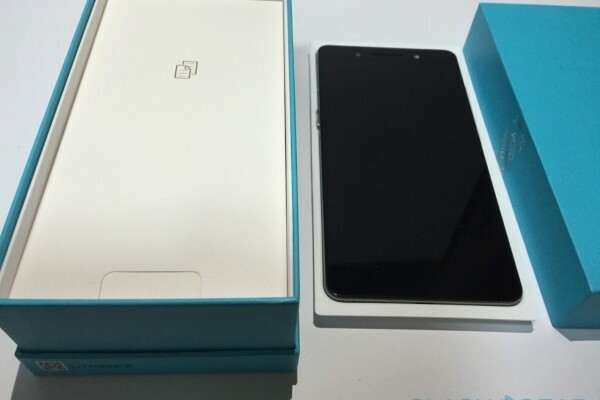 Your first impression would be that this is one serious smartphone. But that solid feel is also a bit on the negative side because it can also translate into a feeling of bulk and heft, an impression that is definitely warranted. 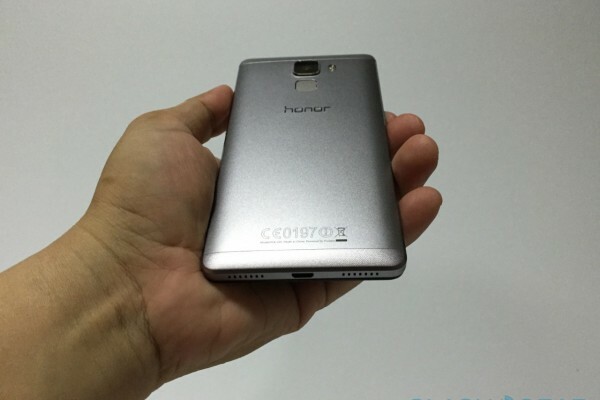 The Honor 7 weighs a good 157 g and is 6.8 mm thick. In terms of screen size, it would be closest to the smaller Samsung Galaxy S6 and the larger iPhone 6 Plus, both of which, while also made of metal, are thinner. 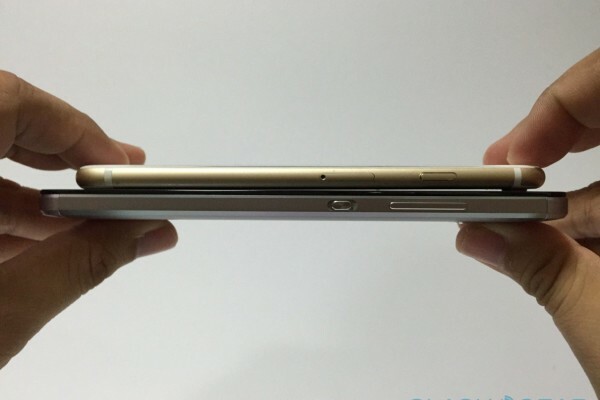 The Galaxy S6 is lighter though the iPhone phablet is unsurprisingly heavier. It’s not a massive difference in weight, mind you, but it does eventually add up. The overall design can also be said to be more industrial in appearance. Unlike the seemingly growing trend to endow smartphones with rounded edges, the Huawei Honor 7 sticks to the flat, chamfered edges more reminiscent of the iPhone 5s and its predecessors. The design isn’t totally flat, however, as the back tapers ever so slightly towards the center. 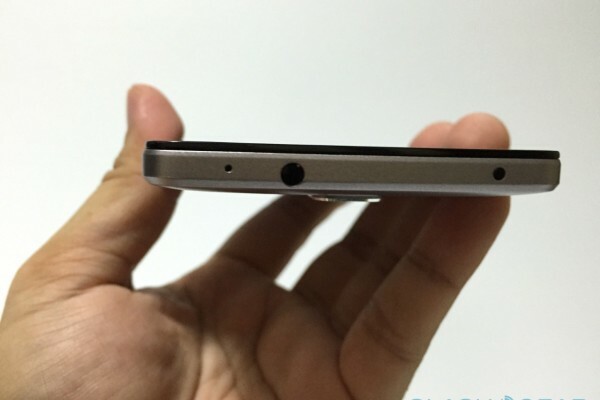 Combine this with the unibody metal design and you’ve got an almost dead knocker for HTC’s flagships. It might sound almost cold but it actually affords a better grip than most smartphones. The flat edges inspire confidence in holding the device, without fear of it slipping from your grasp like other curvy smartphones. The tapered back fits snugly in your palm without cutting into it. The back is also home to the camera and a rather unique kind of fingerprint sensor, both of whom deserve their own special treatment. The face of the device is free of buttons but sadly not of bezels, which still take up quite a lot of space in relation to the screen itself. Not a deal breaker, though the space could have also been utilized for front-facing speakers, which might have given a better cinematic experience. On the right side, you have the power/lock button sitting near the middle of the length of the edge. On top of its is the volume rocker. The placement of the volume rocker is slightly odd, if not a bit uncomfortable. Almost all manufacturers put theirs on the left side of the device, presumably because it is easier to control using the thumb. Here, you’ll have to use either your index or middle finger, which can be a bit awkward. On the other edge opposite the power button is the lone “Smart key”, a special button that could be assigned a limited number of actions or open an app. More on that later. Above it is the SIM card tray, and this is a pretty special one. 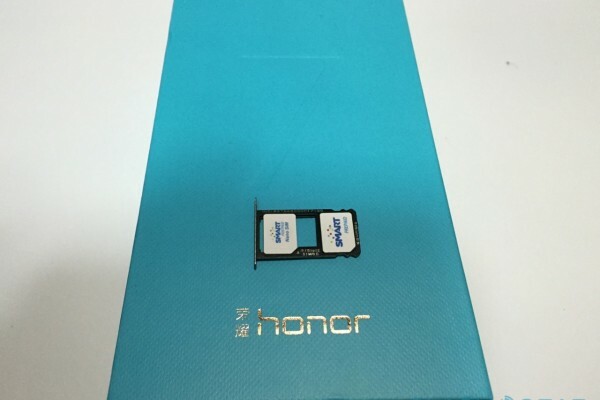 Chinese manufacturers have started utilizing a sort of nano SIM/microSD card combo tray to save up on space inside. Users have two options. One, they can opt to have two nano SIM cards tucked inside. Or they can have one nano SIM card and one microSD card. It’s an acceptable compromise for OEMs looking to cut down on the number of moving or removable parts while not skimping on features. Samsung take note. At the top of the Honor 7 is your usual 3.5 mm headphone jack, noise canceling mic, and, becoming rare these days, an IR blaster. 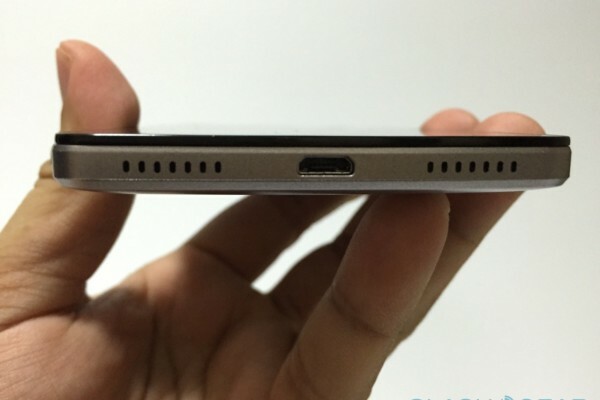 At the bottom is the micro USB port, along with speaker and mic grills. No frills, no nonsense, no gimmicks. Most of these might already be familiar to those who keep abreast of the latest trends in smartphones. Except, perhaps, for the HiSilicon Kirin 935 processor, not your standard fare name in the market but not that new to Huawei’s devices. This octa-core chip has a rather peculiar composition. In most cases, 64-bit processors these days use a combination of high-performance Cortex-A57 cores and power-efficient Cortex-A53 cores. 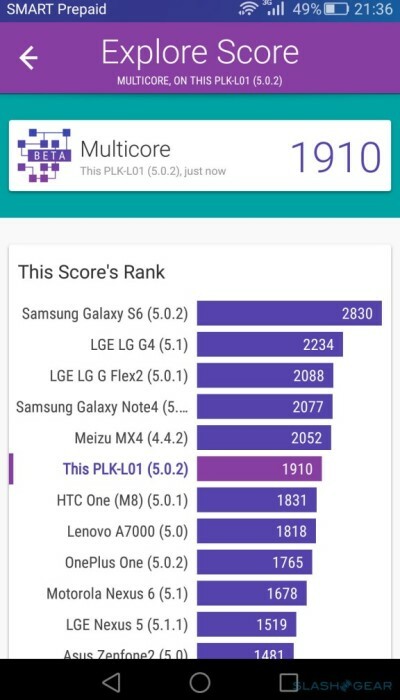 In the Kirin 935, however, all eight are actually Cortex-A53’s instead, except four are clocked to 1.5 GHz and the other four clocked higher at 2.2 GHz. 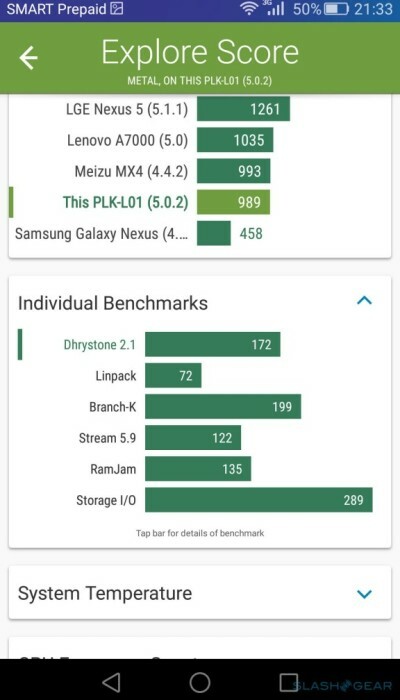 In theory, this means that, even with higher processing loads, the chips are more geared towards being smart about battery life than about performance. Huawei does a bit of innovation here when it comes to cellular signals. Look at the back of the device and you will notice that the top and bottom strips are of a different material. Yes, it’s made of plastic but it isn’t without purpose. Those are plastic because they hide underneath the cellular antennae. Yes, plural. 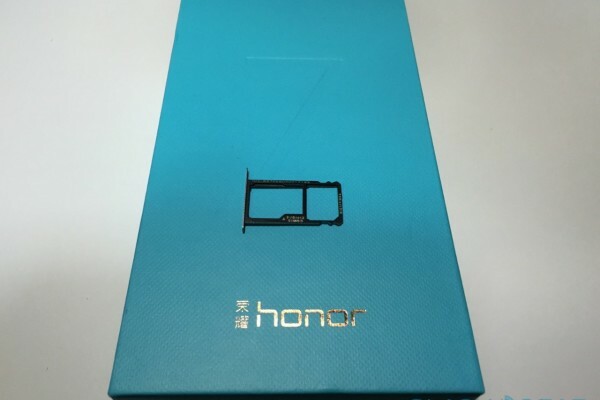 The Honor 7 has two of them, one at the top and one at the bottom. The purpose? To ensure that even if your hand covers the bottom, signal isn’t degraded because there’s a backup antenna at the top. Now there is no longer a wrong way to hold your smartphone. Audio is clear and loud, but sadly not the really the best. 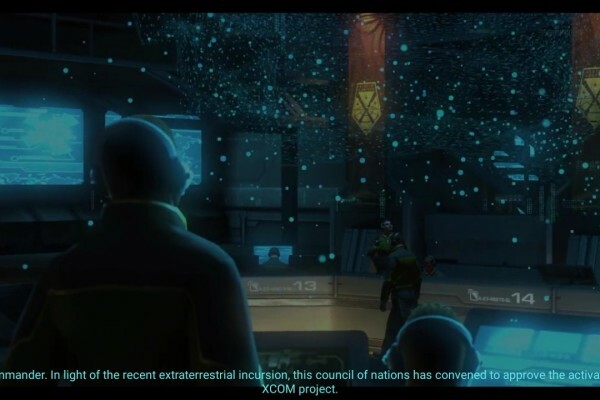 When playing videos, the audio sounds a bit muted, lacking in bass. At extremely loud volumes, you can distinctly here a bit of cracking on higher pitches. That said, it only really happens in extreme volumes. As long as you keep it a sane level, the audio is pretty fine. When it comes to phone calls, the output is clear and so is the sound coming from the mic. Perhaps more impressive is that the audio quality from headphones suffers no degradation. Considering we face our smartphone screens almost 100 percent of the time that we use our devices, the display is one of the most important considerations in mobile. It also happens to be one of the more divisive aspects of a smartphone, right next to the camera. In that sense, the Honor 7 might both fail to impress but also satisfy smartphone users, depending on which resolution camp you subscribe to. The display spans 5.2 inches on the diagonal, but thanks to the the bezels and girth, the smartphone looks and feels somewhat bigger than something with the same screen size, like the Galaxy S6 edge, for example. But unlike Samsung’s flagships, the Huawei Honor 7 doesn’t boast of 2K resolutions but the good old fashioned and reliable 1920×1080 Full HD. While there are undeniable benefits to higher resolution screens, which the likes of DisplayMate would go at lengths to talk about, not everyone – especially manufacturers – are ready to jump on the bandwagon just yet. If forced into a corner to balance quality and component cost, 1080p is still an acceptable high quality compromise. Not that the Honor 7 compromises on display quality. The screen is actually quite bright and crisp. 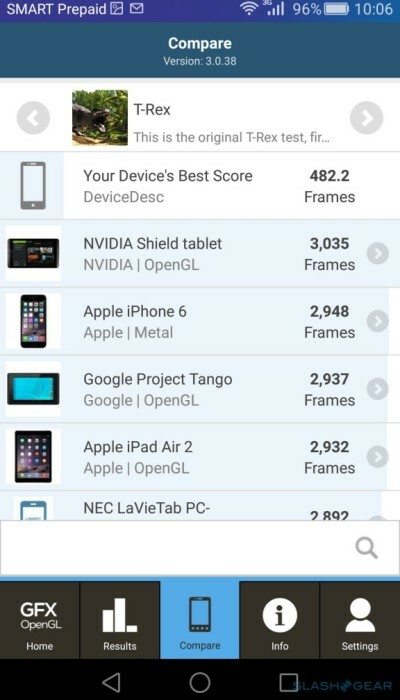 Max brightness can almost hold a candle to the iPhone 6, often used as a benchmark when it comes to display quality. There’s a bit of reflective glare, naturally, but that’s something common in most smartphones these days anyway. Viewing angles are also excellent, with little to no degradation in color and quality as you tilt your phone. You can almost view something with the display parallel to your line of sight and it would still be viewable. Colors, however, are a bit less saturated, which can also make images and videos look darker than they are on, say, an iPhone 6 or a Galaxy S6 edge. The Huawei Honor 7 runs a semi-recent Android 5.0.1, but that might not be immediately obvious because of Huawei’s custom Android experience which it brands as EMUI, here running version 3.1. Those who criticize Samsung’s rather heavy handed approach to customizing the Android experience may have not yet seen the likes Xiaomi’s MIUI or Huawei’s EMUI. 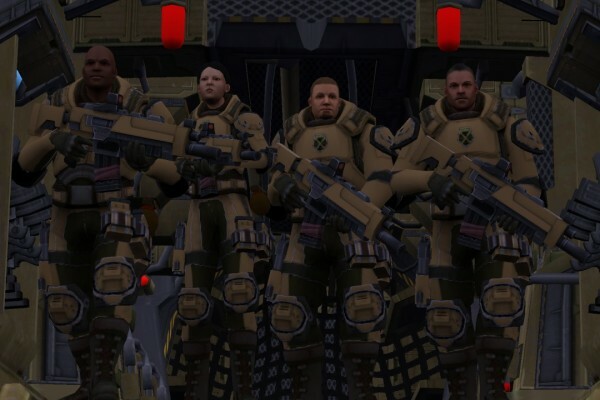 It would be too easy to say that these particular skins emulate a lot of the iOS look and feel, and in some cases they do, but that wouldn’t be an entirely fair assessment. 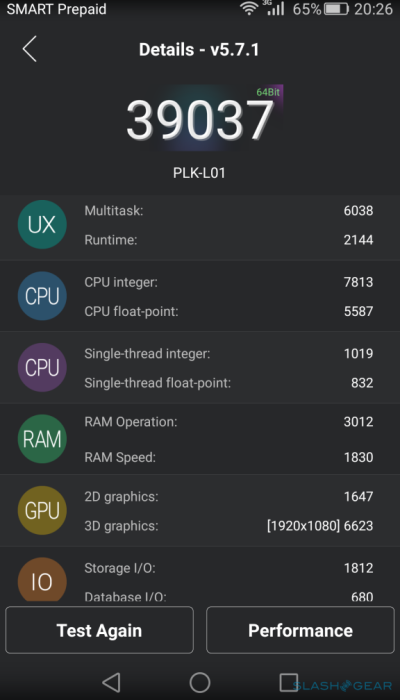 As we will see, EMUI does offer some enhancements to Android, some of which are definitely worth taking note of. The EMUI app launcher is where the iOS inspiration shines the brightest. Unlike most Android launchers, which have an app drawer separate from the home screen, EMUI dumps everything into one place, just like iOS. And while the art style does follow Google’s new minimalistic bent, the icons in particular more closely resemble Apple’s visual guidelines, employing rounded squares to cage in icons. There is again a hint of iOS on the lockscreen, where a swipe from the bottom brings up quick shortcuts to the camera, torch, calculator, and voice recorder. The similarities with iOS end there and the rest of the EMUI experience is solidly built on top of Android, for better or for worse. Of course, it’s a modified Android experience. 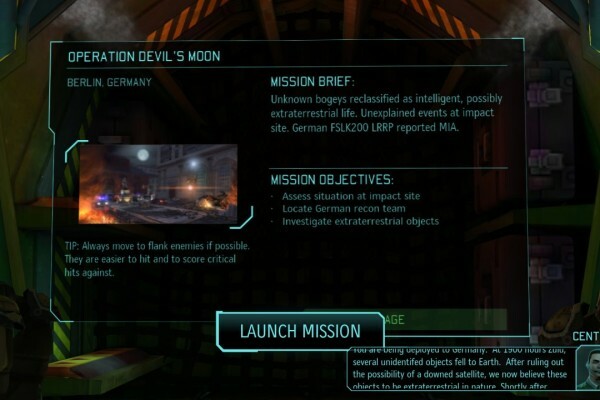 Take, for example, the notification tray. Instead of Android 5.0’s single slideout panel, Huawei embeds two pages here, one for Notifications and another for Shortcuts. Quick Toggles, in other words. This arrangement sort of mirrors Sony’s similar two-pane notification tray before it moved over to Android Lollipop. Coincidentally, iOS 8 also started using something somewhat similar but kept the distinction between Notifications and “Today” instead of settings shortcuts. 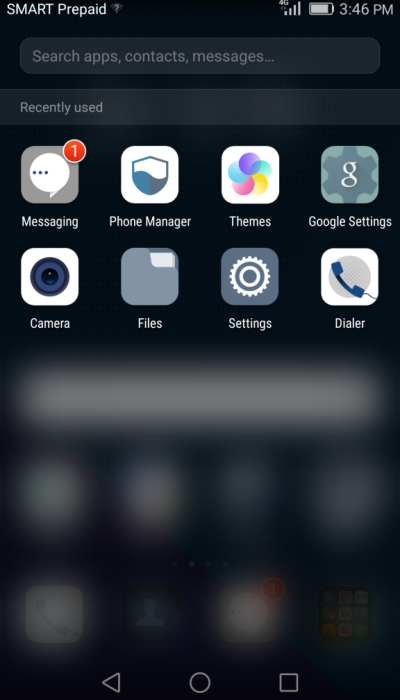 Customizing the appearance of EMUI isn’t as extensive as, say, rival Xiaomi’s MIUI, but it’s there. You can change the homescreen and lockscreen wallpapers like you could on any Android device, but Huawei’s Themes app offers a central place to set all of those plus more. You can also change, for example, icons and fonts. There is rudimentary support for “themes”, which are practically just a convenience bundle for all these settings. 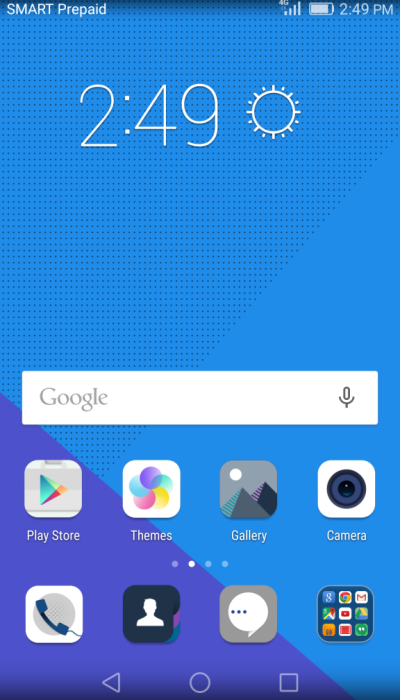 There is no Theme Shop, however, unlike some other ROMs like those from MIUI, Cyanogen, or Sony. The Honor 7 is laden with animations, from the moment you wake up the display to the time you switch home screen pages. And this isn’t just the usual parallax animation when scrolling through home pages, but distinct animations that happen every time you flip through a home screen page. They can be visually gratifying at first but eventually also grating. Changing the wallpaper removes that animation but the moment you switch back to one of Huawei’s default themes, you’re back to seeing them. As far as the smartphone’s settings are concerned, Huawei again happily sticks to the vanilla Android convention. 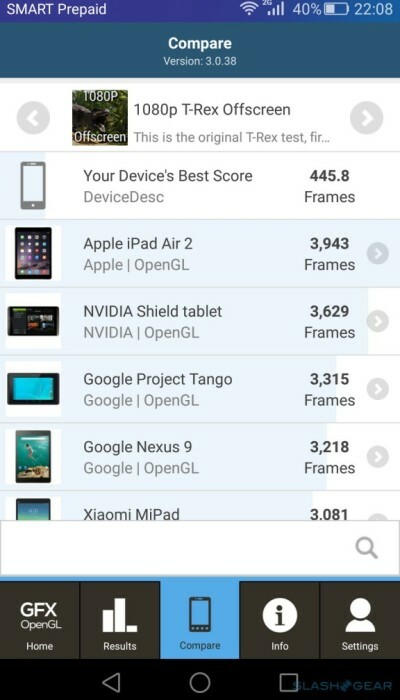 Unlike Samsung, who has overloaded the Settings app and needed to break them out into separate tabs, EMUI practically only has one long list. OK, there’s also a “General” tab, but this acts more like a shortcut to most frequently used settings than an actual separate list. 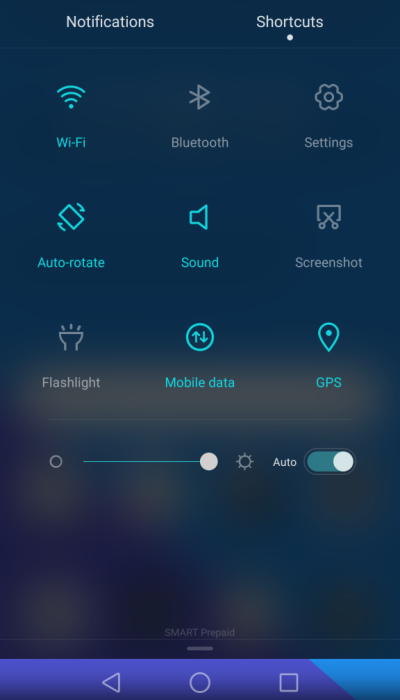 That said, Huawei does add a good number of new settings for exclusive features, but once you’ve seen TouchWiz, you might think that number is still quite sparse. Like any other OEM, Huawei installs a few of its own apps on the Honor 7. While most of these are the utility apps you’d expect on any smartphone, like a calculator, notepad, and voice recorder, there are also some that are also a bit less useful, like a Mirror or Magnifier app. Our review unit doesn’t have third party apps installed other than Facebook and Twitter, but retail devices are likely to have some bloatware attached once they pass through carriers. What the Honor 7 does have loads of is Google’s apps, almost the whole gamut of its Play apps, plus Google+ and Photos. Google itself is cutting down on which of its apps gets pre-installed, but that new policy hasn’t reached Huawei’s flagship. The design of Huawei’s apps are minimalist and again a bit of the Apple design language seeps in, mixing with Google’s Material Design. The Weather, Calendar, and Browser apps, in particular, might feel rather familiar to owners of a more recent iPhone. 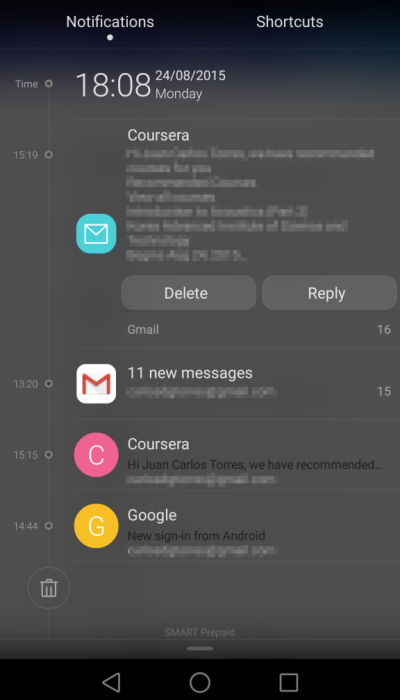 The Clock and Email apps are more like their Android counterparts, though Email in particular seems to have inherited the old Gmail’s inability to configure what swiping an email does. It defaults to delete. The Dialer, Contacts, and Messaging apps are actually just a single apps with three different faces, each set to launch to a specific part of the app. 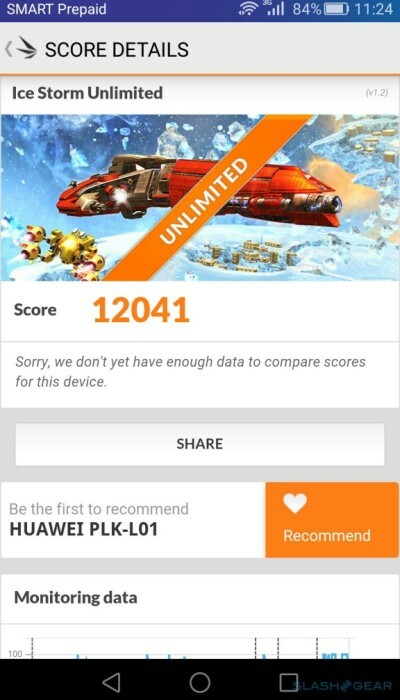 One Huawei-specific app that comes pre-installed on the Honor 7 bears noting. Phone Manager is something you don’t see everyday on more mainstream Western ROMs like those from Samsung or LG. While Samsung does have one or two utilities to clear up RAM or view storage usage, Phone Manager does a whole lot more. If you’ve read our piece on Baidu’s DU Battery Saver and DU Speed Booster apps, then you’ll probably be familiar with this. 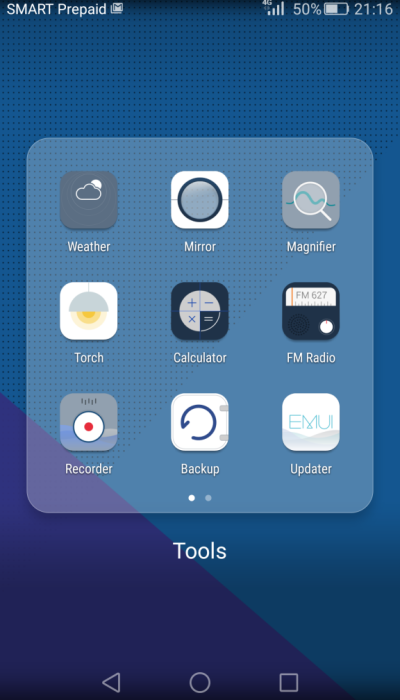 Phone Manager has almost anything and everything you’ll need to keep your Honor 7 in tiptop shape, from monitoring performance, killing wayward apps, clearing up unused files or cache, and limiting network connections. 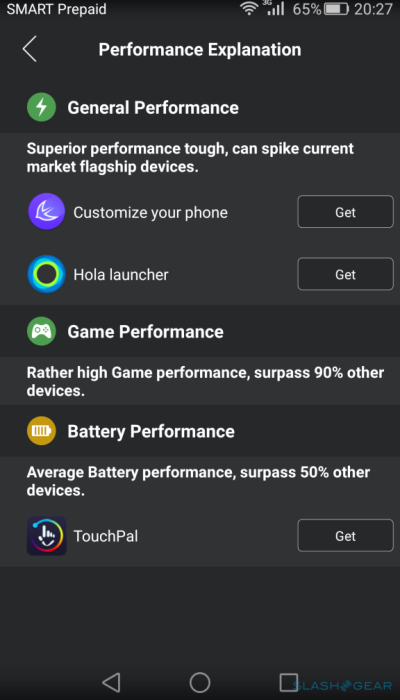 Some of these can also be set from the regular Android Settings app, but this gives users a one stop shop for everything. No need to install separate third party utilities. Huawei has got you covered. Now we get to some of the Honor 7’s unique features, starting with the simplest and somewhat disappointing feature: the Smart key. 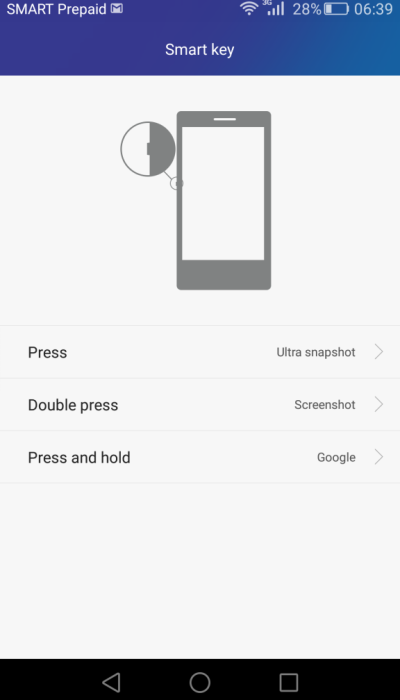 This is the lone button that sits on the left side of the smartphone, a button whose purpose is simply to provide three gestures, single press, double press, and press and hold, for quick access to certain functionality. You can choose from either one of four preset Shortcuts or open an app instead. This feature is really more of an extra convenience than a groundbreaking innovation. 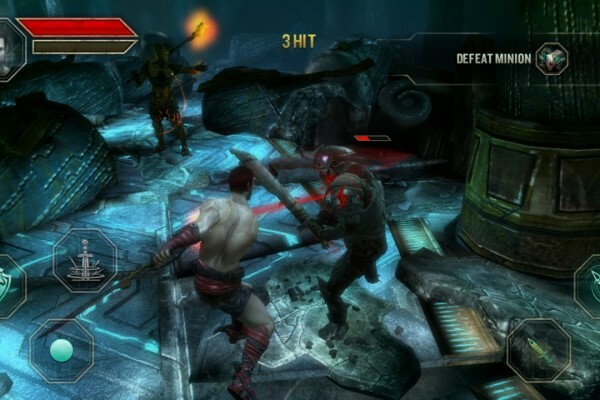 A hardware button is definitely quicker than going through the touchscreen and utilizes muscle memory to great effect. 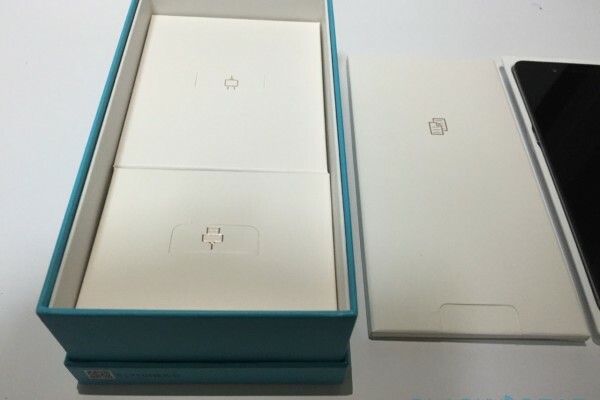 Some might draw some connections between the Honor 7’s Smart key and the iPhone’s dedicated Mute switch. There is, however, one rather ironic difference: the Smart key cannot actually mute or unmute the phone. The number of preset Actions are, well, limited. 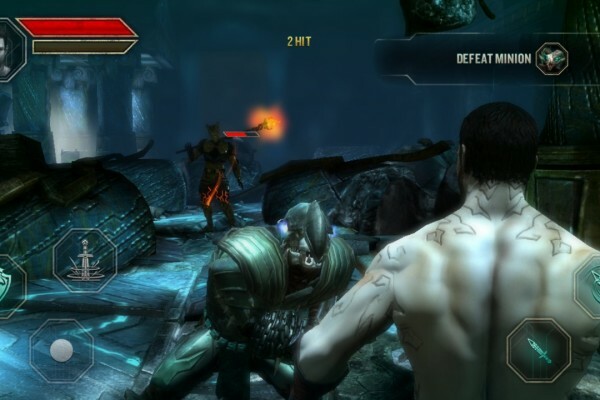 There’s Torch, Screenshot, Voice Recording, Ultra Snapshot, and nothing else. The one silver lining here is that you can open any app you want, and, with a lot of programmable apps on Android like IFTTT for example, you can, in theory, emulate a mute/unmute function. Still, it would have been nice to have it built-in. Perhaps the most interesting hardware and software feature on the Honor 7 is the fingerprint scanner. As you would expect, that sensor uses your fingerprint to unlock the smartphone, but it can do a lot more than that. Those same fingerprints, up to 5 can be enrolled, can be used to access locked apps and a safe. App Lock is the Honor 7’s way to keep certain apps out of prying eyes, requiring a fingerprint or a password to launch. Safe, on the other hand, is an encrypted haven for photos, videos and files. 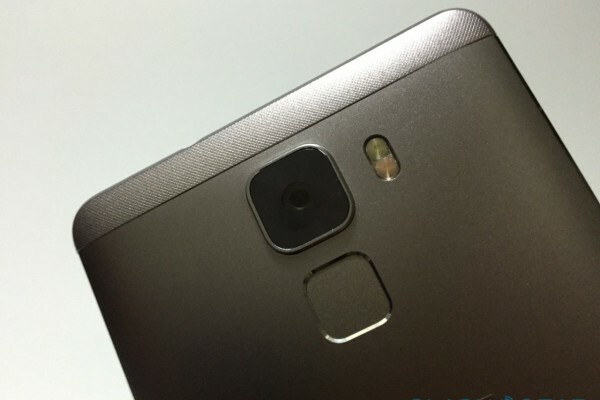 The Honor 7’s fingerprint sensor also has something in store even for fingers that have not been enrolled. The sensor can accept a few gestures, made by any finger, to perform some actions. For example, a long tap can send you back home, sliding down will also slide down the notification panel, while sliding up brings up recent apps. This is definitely more than what more common sensors allow and is a great way to reuse that small space. The location of the sensor, on the back of the Honor 7 and below the main camera, is both a boon and a bane, an odd position for anyone except those who have used an HTC One Max. Depending on how you usually hold smartphones, your index finger will most likely be able to easily reach it. This makes the sensor more accessible without having to contort one of your fingers (your thumb). But it also makes it a bit too accessible, leading sometimes to unwanted taps or swipes. A single tap on the sensor can be used as a shortcut for the Back action, and you can imagine how annoying that would become. Luckily, that gesture isn’t enabled by default. 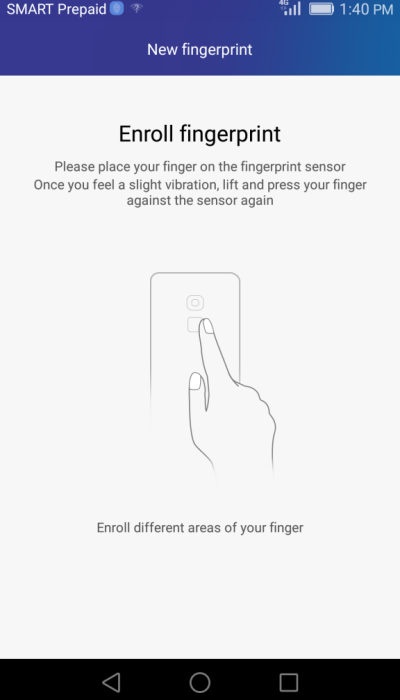 Since it is also placed below the main camera, there are times when your finger will inevitably mistakenly lie on the camera instead of the fingerprint scanner, or brush against it when doing gestures, which translates to fingerprint on the camera glass. 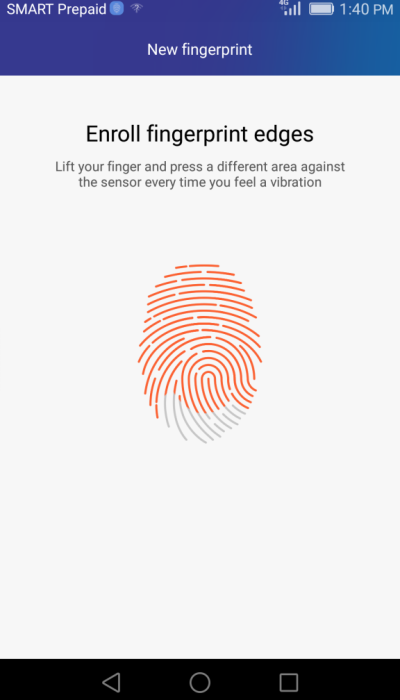 But perhaps the biggest problem with the location is that the fingerprint sensor is rendered utterly useless when the phone isn’t in your hand, like when it’s on a table face up. To unlock the phone, you’ll have to enter your PIN or password instead. That is more than just a nuisance because, for whatever reason, when you have a PIN or fingerprint set to unlock your screen there is absolutely no way for you to access the notification panel, regardless of your Notifications settings for the lock screen. You cannot preview them without having to unlock your phone first. Hopefully it is a design limitation that can be fixed in future firmware updates. 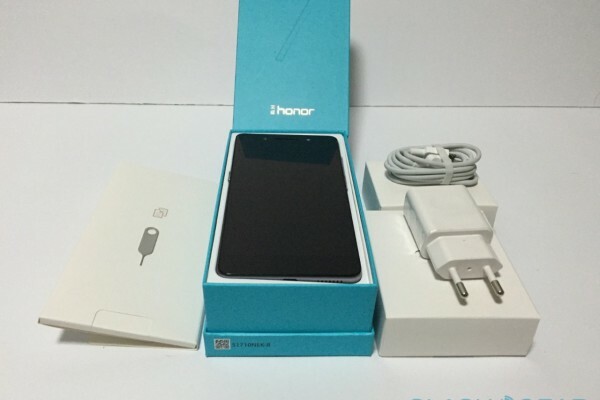 The Honor 7 also offers a bunch of features aimed to make it easier to operate the device. Here are some of the most notable ones. Like any smartphone these days, there are few motion gestures that you can use to, for example, mute an incoming call or automatically answer one. There is, however, no twisting gesture to immediately launch the camera. But the Honor 7 does have something somewhat better: in addition to using the Smart key as a launcher, there is also an optional camera setting that lets you double press the Volume Down button while the screen is locked to immediately start the camera app. You can even set it to automatically grab a shot when it does that. The Honor 7 also has a Voice Wake Up feature, but don’t expect it to be as sophisticated as say, Google Now. At most, it really just wakes up the device or allows you to make a phone call immediately. It can also be used to help you locate the smarpthone, in case you forgot where you last placed it, though that presumes you are both within hearing distance of each other. 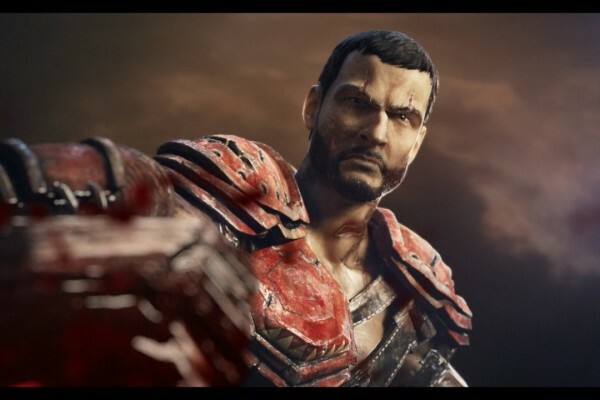 The default trigger phrase is “Dear Honor” but users can change it so something they prefer. One almost hidden UI feature on the Honor 7 is the mini screen view, which shrinks the display area to be more accessible for one hand operation. You slide your finger across the navigation panel at the bottom – hoping you actually won’t trigger any of those buttons – to trigger the effect. It’s handy for those with smaller hands or limited reach. We know that benchmarks aren’t the be-all and end-all of measuring performance. After all, history has shown us how they can be cheated. But they do give us a common language and a common starting point when talking about it. Plus, they are extremely popular. Just remember to take these results with a pinch of salt. There is that expected discrepancy in each run. 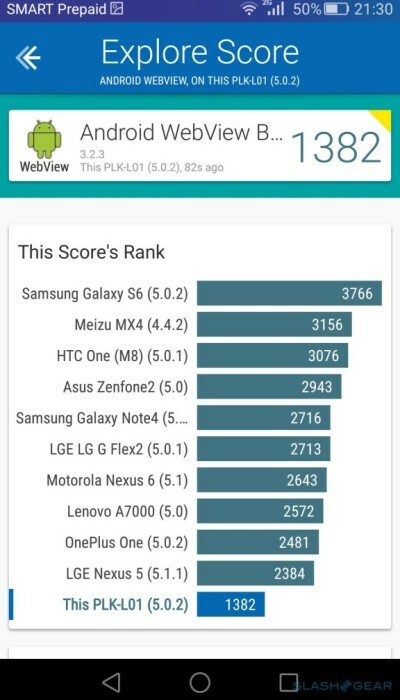 In both cases however, the Honor 7 clearly ranked a bit low, lower than even last year’s Samsung Galaxy S5, which itself is way below the Galaxy Note 4. 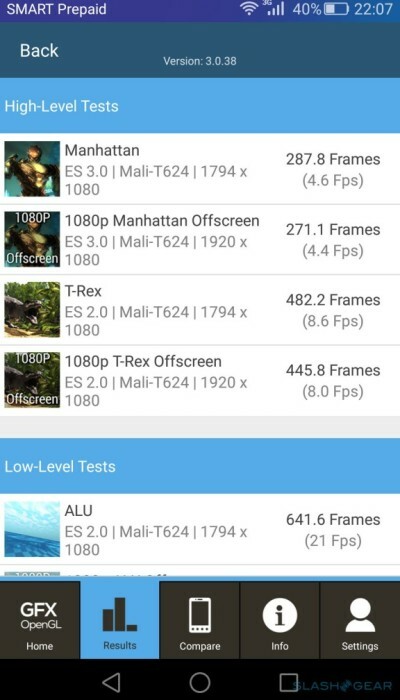 Still, AnTuTu does speak highly of the smartphone’s capabilities overall, especially in gaming. 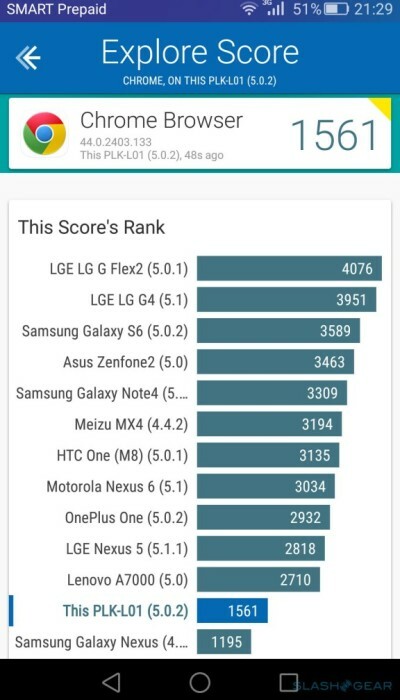 We see that same difference in results when GeekBench was run twice with that same pattern. This time, however, the results were in reverse, with the second run scoring lower than the first. 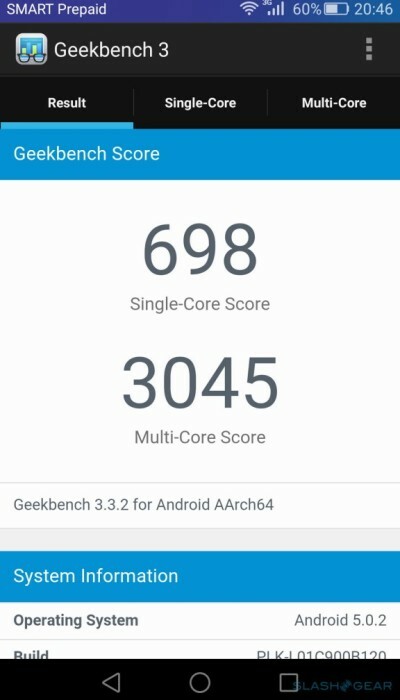 The Honor 7 doesn’t do well in the single core performance area but rises to the very top when multi-cores are involved. 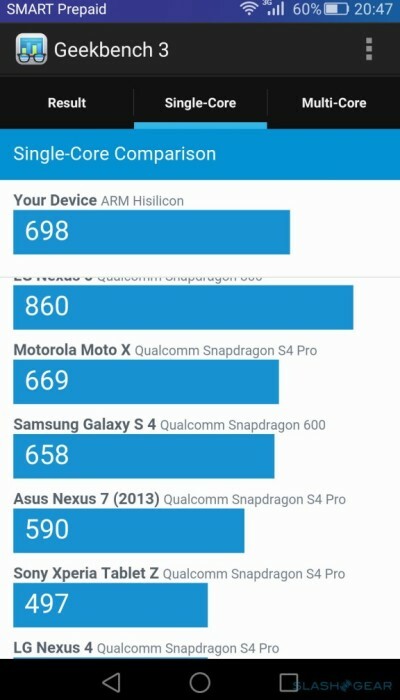 Interestingly, in both AnTuTu and GeekBench, the list of smartphones ranked against the Honor 7 are not exactly the latest models. We can only imagine the smartphone comparing worse. 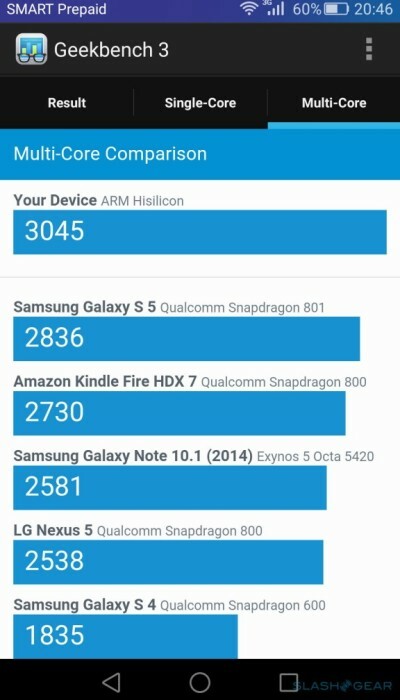 Vellamo is a Qualcomm benchmarking tool, so let’s see how a non-Qualcomm bearing device fares: maybe unsurprisingly, quite poorly in all except one. This time, Vellamo has within its database more recent devices. Considering how the Honor 7 ranked low against last year’s models, it’s not surprising to see it pushed further back down when the new kids on the block are added. 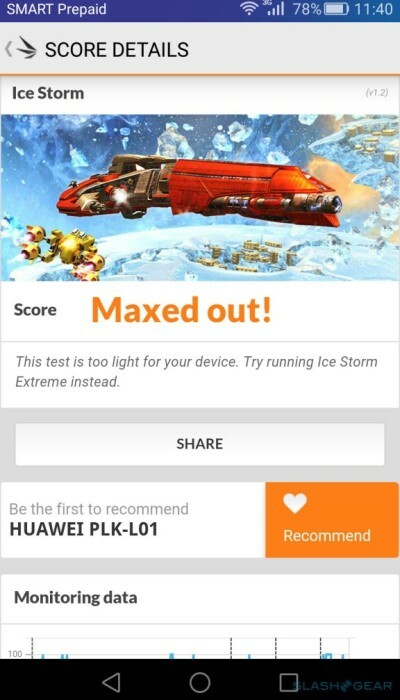 The one ray of sunshine on Huawei’s flagship is the multi-core test. 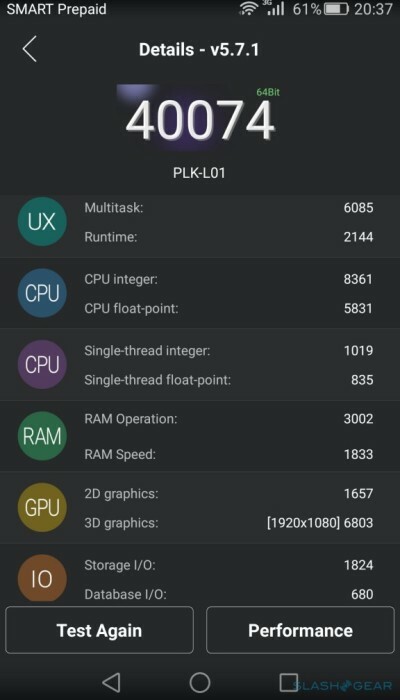 Like in AnTuTu and GeekBench, the Kirin 935 seems to shine brightest when its 8 cores are put to task, versus a simple single process task. It isn’t surprising, then, to see how well the Honor 7 handles multi-tasking. 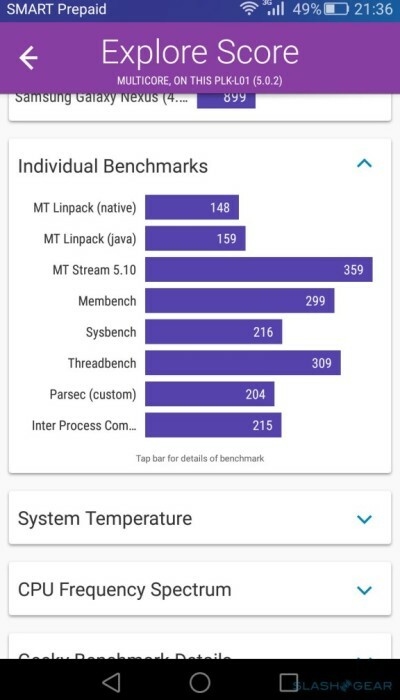 A smartphone isn’t just all CPU, however. 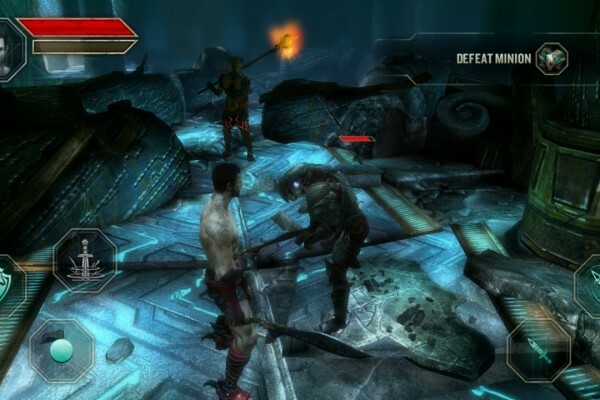 A major part of the overall experience is also the GPU and the display. 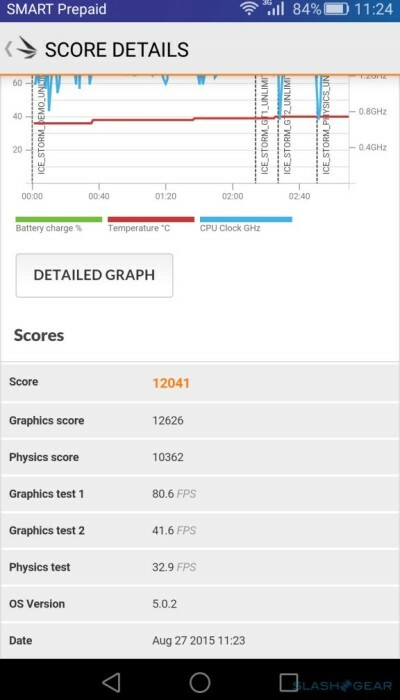 Fortunately we also have at least two well-known tools when it comes to benchmarking graphics prowess, like GFXBench, sometimes a source of many leaks. 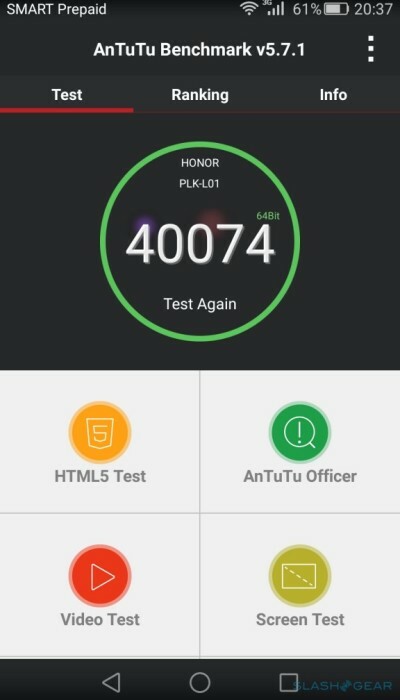 As a foreword, the Huawei Honor 7 has a Mali-T624 GPU, a 2012-2013 graphics chip, so one shouldn’t expect it to run circles around more recent hardware. 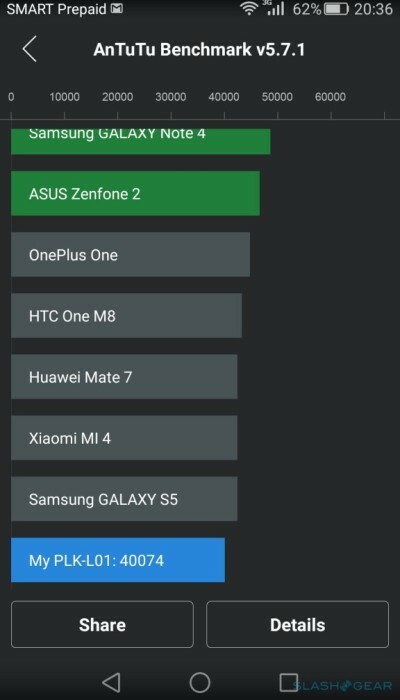 In fact, if numbers are to be believed, the Honor 7’s GPU does terribly in comparison with any device from the last 1-2 years, including some brands you might not have expected (like ZTE’s). 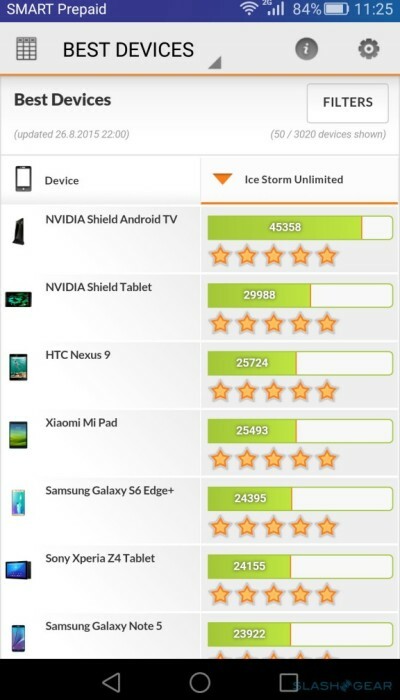 Dozens of smartphones have scores in four digits while the Honor 7 is left with only three. That said, observing the graphics stress test, you would presume that it would actually do well in practice, which will also see later. 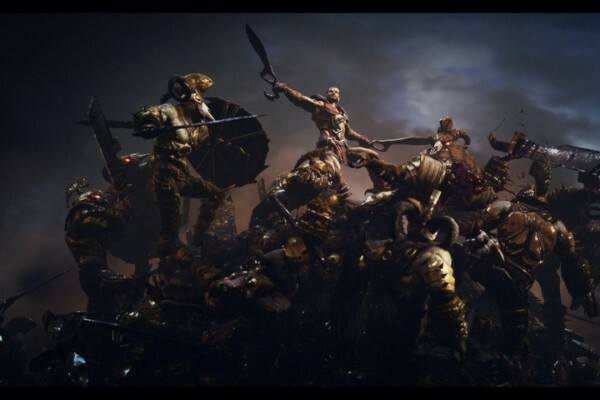 When it comes to measuring graphics performance, especially in gaming, perhaps no name rings louder than FutureMark and its 3DMark tool. So, naturally, we give it a spin as well. 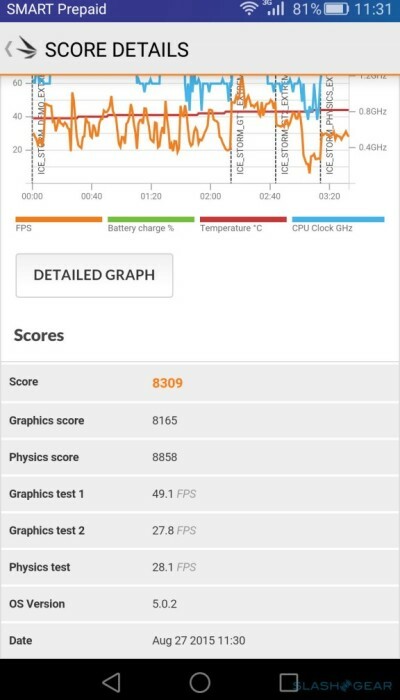 If you were expecting 3DMark to show more promising results, you would again be mistaken. 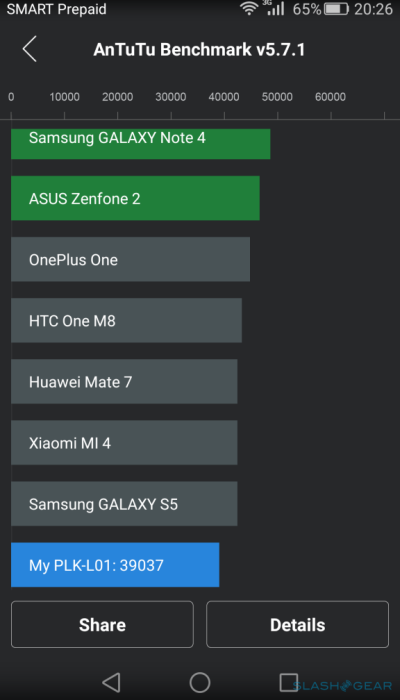 Sadly, the Honor 7 was not exactly made for heavy duty graphics, compared to the the likes of NVIDIA’s devices or even the more recent high end smartphones. That said, benchmarks are benchmarks and in the end, it will be real usage that counts the most. 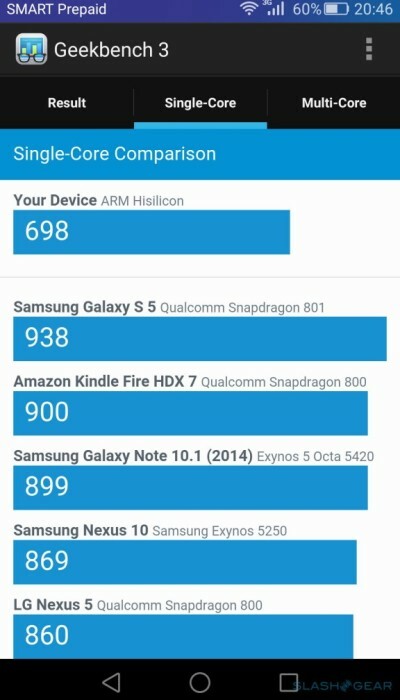 People don’t buy smartphones to run benchmarks. They buy smartphones to use them. As enlightening and as entertaining these tools may be, it is the ordinary use case performance that will really matter to end users and prospective buyers. The Honor 7’s hardware is more than capable of handling all the fancy animations and graphical effects that EMUI throws at it. Though we can only wish for a leaner and faster user interface, it isn’t anything that the smartphone cannot handle. Sure, the animations might get tiring after a while, but it’s down to user preference and settings rather than a performance issue. 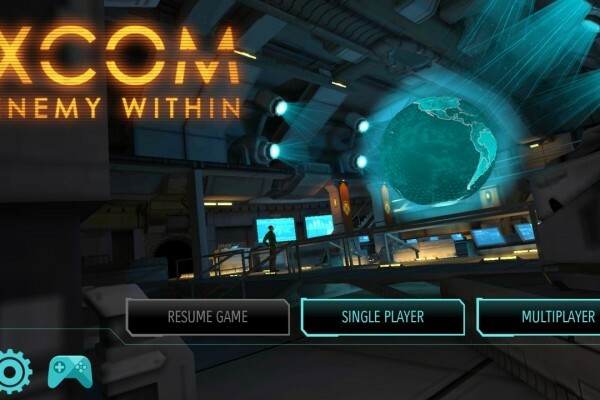 The user interface can be customized and the launcher can even be swapped for a simpler alternative, but one thing that you won’t be able to escape is multi-tasking and having many apps running in the background or at the same time. Fortunately, again, the Honor 7 lives up to expectations: even with almost half a dozen apps recently opened, with a music player singing, and background processes like e-mail always awake, the smartphone remains responsive and fluid. 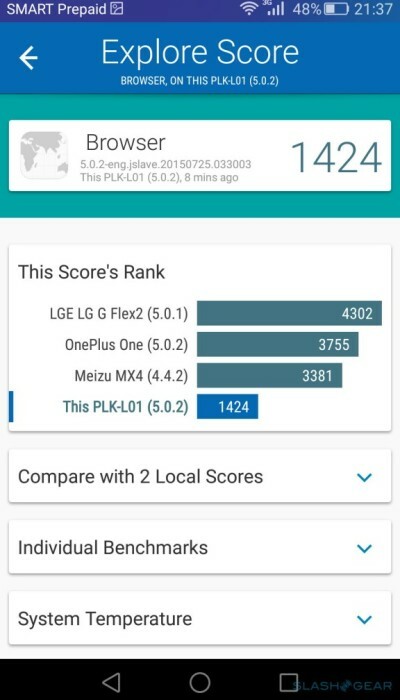 Quite an accomplishment considering how graphics and animation heavy the EMUI skin is by nature. Perhaps with a few more resource hogs, the Honor 7 will start to show some stress, but Huawei’s pre-installed tool will be there to remind you how to curb those wayward apps. And now the ultimate “real world” stress test. 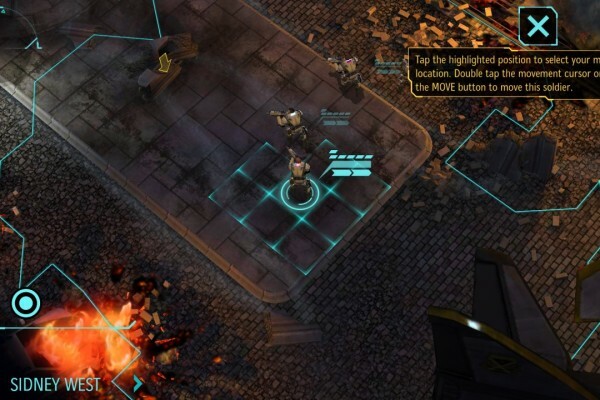 For seeing how well the Honor 7 handles the gaming pressure, we used two resource-intensive games, Godfire: Rise of Prometheus, a game with similarities to the popular God of War titles, and XCOM: Enemy Within, a mobile port of the PC game of the same name. 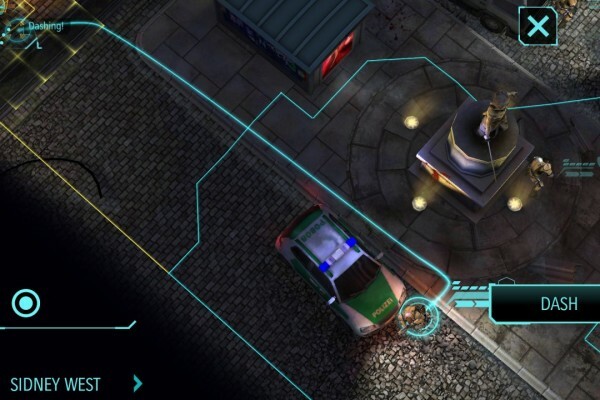 One thing about Godfire was that it takes a very long time to start up, almost feeling like it’s hanging on loading. 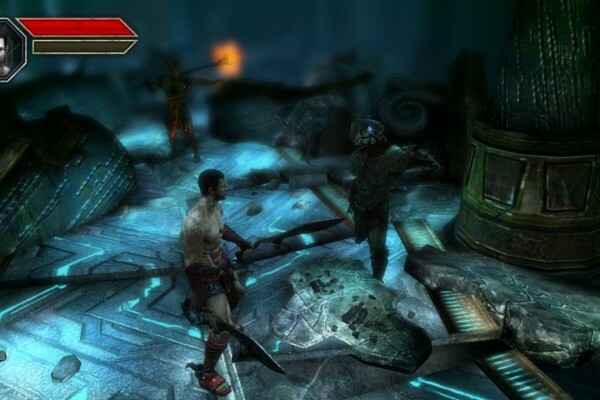 After that, however, the game proceeds smoothly, even at the highest graphical setting. 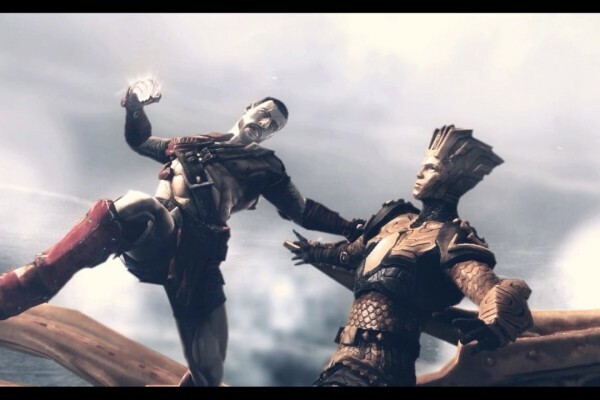 The cutscenes play fluidly though, of course, these are mostly pre-rendered videos, but even gameplay is smooth, with barely a stutter to be seen. 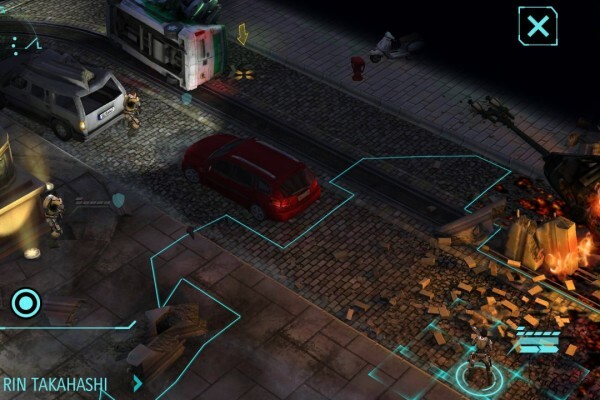 The mobile version of XCOM might not be as heavy as the original PC game, but it still has some weight to it. 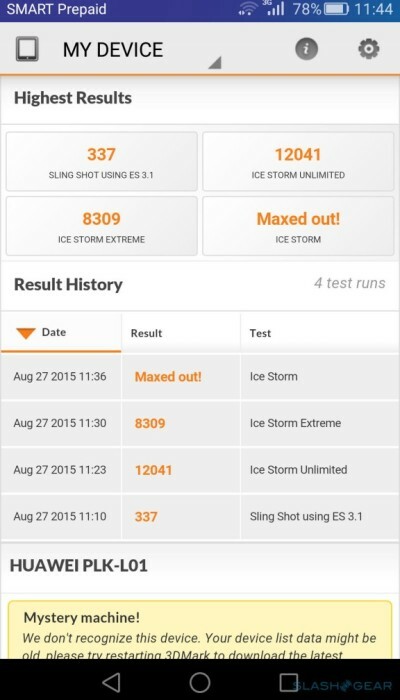 Happily, the Honor 7 once again manages to pass with flying colors. 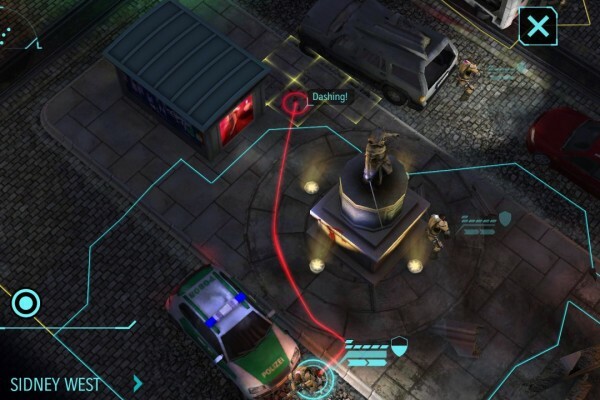 XCOM, however, isn’t as twitch-based as Godfire, being a strategy/tactics game. All in all, it was a pleasant gaming experience. 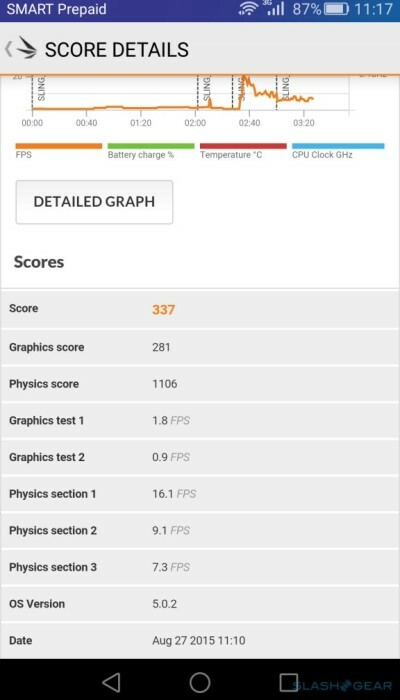 Naturally, the Honor 7 does get a bit warm during all these tests, but not so much that you’d be forced to put it down and pause your game. Huawei is mighty proud of its main camera. After all, it boasts of the same Sony IMX230 sensor, announced late last year, that also happens to be on the Moto X Play. 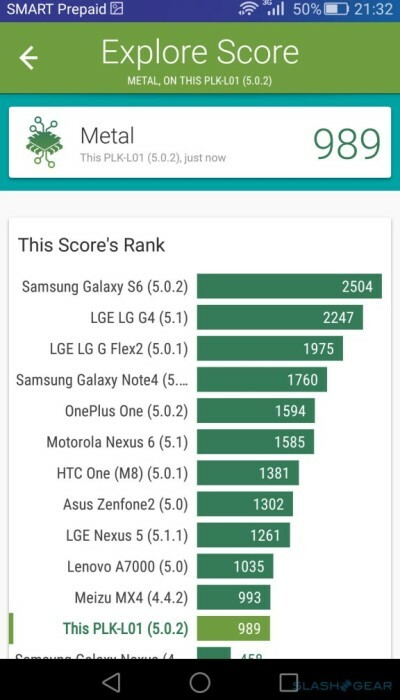 Given how DxOMark placed Motorola’s 2015 flagship in the middle of its Top 5, then there is indeed reason to celebrate. 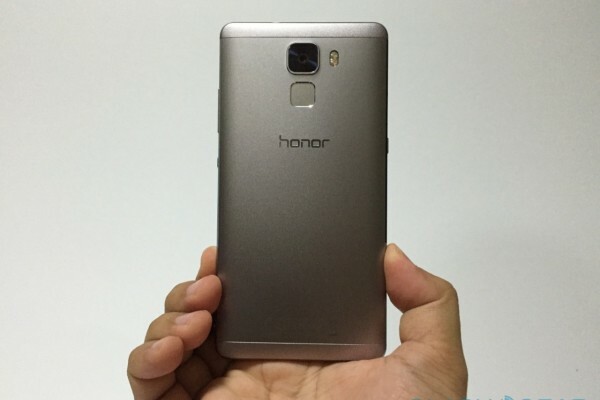 The sensor is capable of 21 megapixels but on the Honor 7 it maxes out at 20MP. Aperture is f/2.0, which is adequate to let a lot of light in. The sensor uses Phase Detection Auto Focus for a fast 0.1 seconds AF time. Sounds impressive, but by now you should all know that megapixels and specs are never the whole story. In well-lit areas, the camera does indeed perform superbly. Colors are bright and crisp, autofocus is quick as advertised. The one wart to this is that colors are sadly a bit oversaturated at times, leading to inaccurately brighter photos that do not always match what objects look like in reality. Here’s a side by side with an iPhone 6, which has a “measly” 8 megapixel 1.5µm pixel size sensor and f/2.2 aperture. 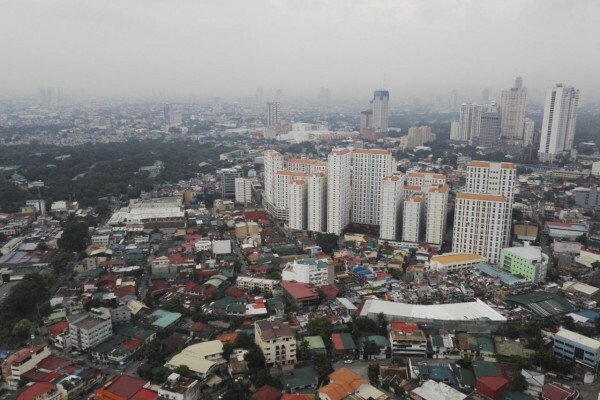 You would, perhaps, presume that the bigger aperture on the Honor 7 would indeed result in a brighter picture, but it also results in a photo that has a feeling of being edited after the fact. 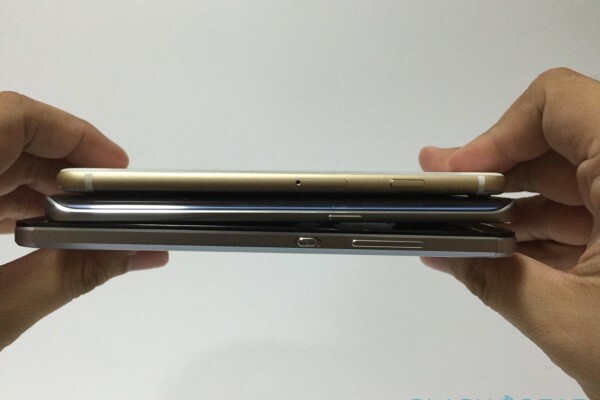 Apple iPhone 6 on the left, Huawei Honor 7 on the right. It is in the darkness that the Honor 7’s camera struggles the most, which is almost always tricky. Despite the larger aperture, noise is quite visible in low light situations. This is remedied a bit in HDR mode, but not completely. Still, the Honor 7 fares better than most smartphone cameras you’ll see in the market, though not better than the top DxOMark contenders. 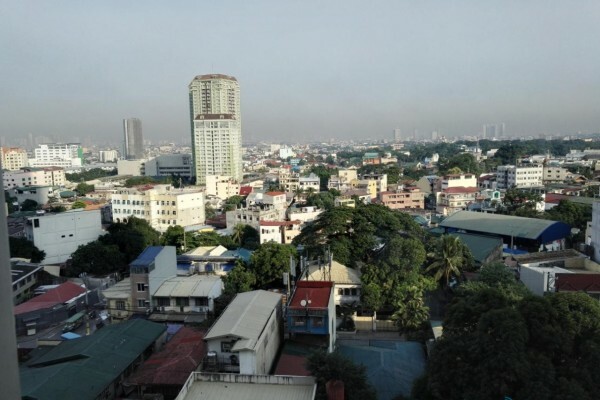 Despite the large sensor, the Honor 7 can only take Full HD videos at the highest setting. There isn’t much to be said about its capabilities there, as it is near perfect. AF is again, flawless, and stabilization is par for the course. There is no discernible motion blur when it comes to moving objects. 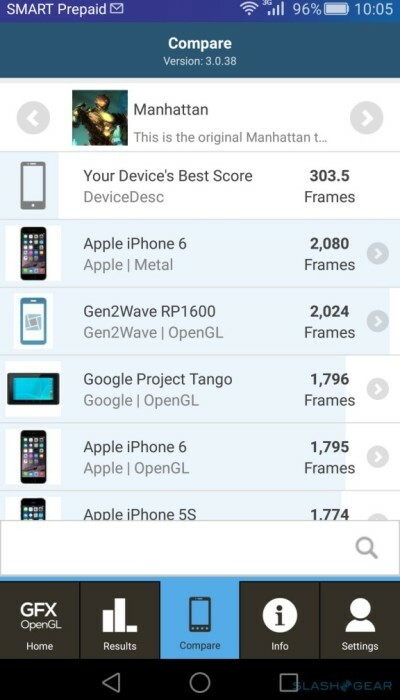 All in all, aside from the lack of 2K recording, the Honor 7 handles itself well in the video category. 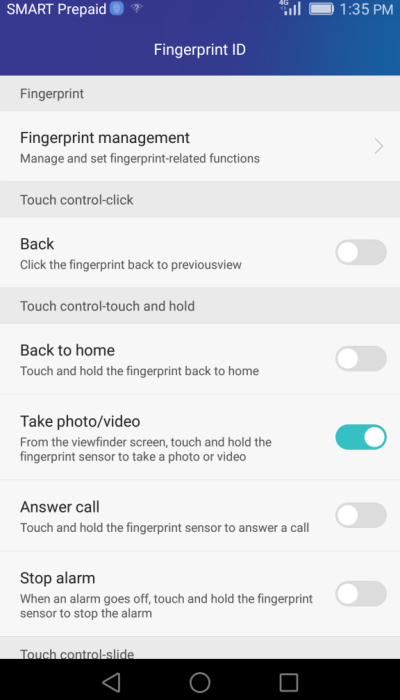 The Huawei Honor 7’s camera app is loaded with features and modes, probably more than you can keep in your head. 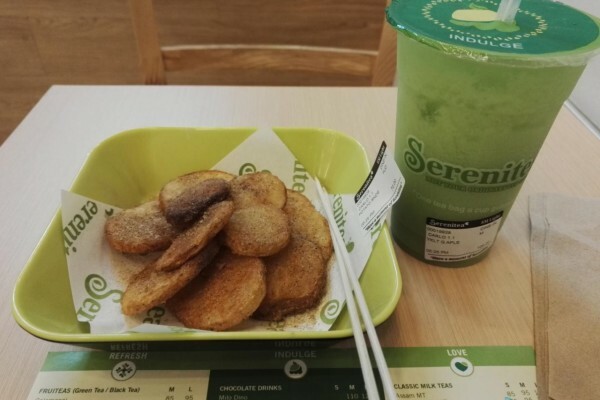 You shouldn’t be surprised that there are a few which are clearly intended for selfies and, something new, food shots. You also have your quintessential Slo-Mo, Timelapse, Panorama, and Best Shot features. One interesting mode is something called “All focus”. In essence, this takes a special photo that has just enough depth information embedded in it so that you can change the focus of the image long after you’ve taken it. A slightly impressive feat considering it’s a feature usually found in devices with more than one rear camera, while Huawei’s only has one. A note on the slo-mo feature. 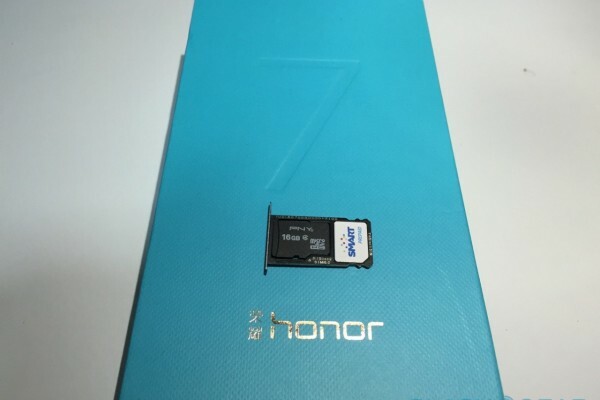 The first batch of Honor 7’s that will be going out to European markets won’t have the slo-mo enabled. However, a software update scheduled in October will turn it on once it rolls out to users. The Honor 7 has a large 3,100 mAh battery. It might not be the largest in the market anymore (some have called dibs on 4,000 mAh packs) but it certainly is one of the top ones. 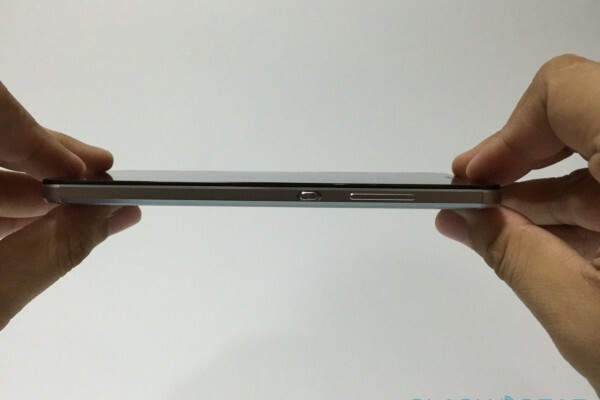 It’s just a little more than the Samsung Galaxy Note 5’s 3,000 mAh, for comparison’s sake. And that size does it good: with average use, which means a mix of 4G/cellular connection, Wi-Fi, and e-mail getting checked every 15 minutes or so, the Honor 7 lasts a little less than two days on a full charge. And that’s not even activating yet the Ultra Power Saving Mode. Like Samsung’s similar feature, it restricts smartphone functionality to a subset consisting only of calls and messages and turns the screen black and white. 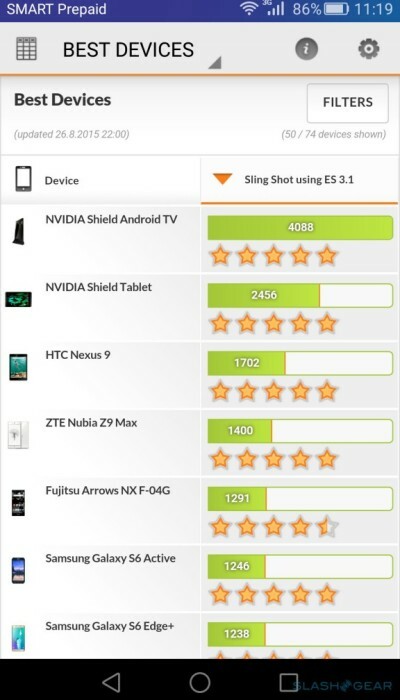 Unlike Samsung, however, the Honor 7 doesn’t benefit from the power saving features of an OLED screen. 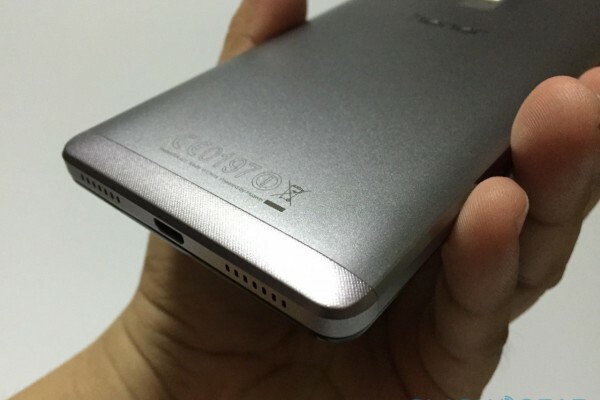 Huawei says that the Honor 7 is capable of fast charging, and indeed you will see a switch to enable it. However, the power brick that comes with the smartphone is a standard one and you’ll need to buy a fast charger to tap into that capability. Huawei doesn’t say which fast charging technology is being used, since it is a Kirin chip running the show. Not that the Honor 7 charges especially slowly. When totally powered down, the smartphone can charge at a rate of 1 percent per minute. 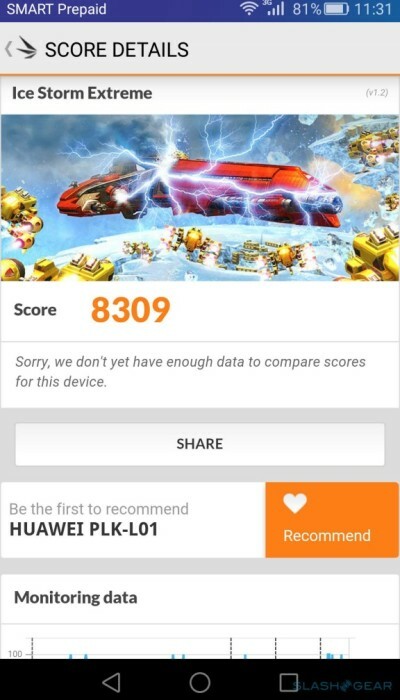 It took less than 2 hours to charge the smartphone from 0 to 100 percent, confirming Huawei’s claims. When left powered on and with all things running normally, charging is naturally slower, about 0.5 percent per minute. 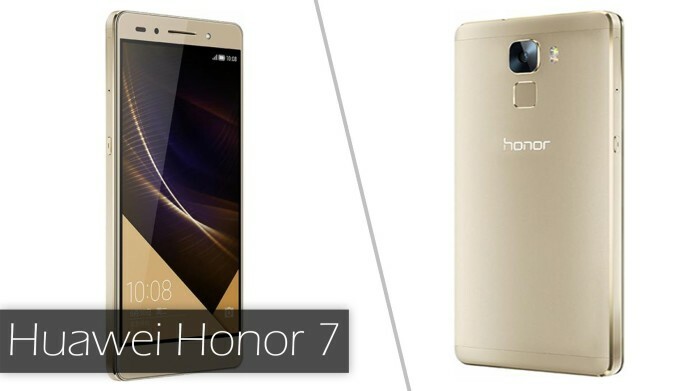 Today marks the Huawei Honor 7’s debut into the European market. The smartphone will be available in seven countries initially, perhaps to match the device’s name: the United Kingdom, France, Germany, Italy, Spain, the Netherlands, and Finland. Other countries in Europe will soon follow, though no target date has been given. Available colors include Mystery Gray and Fantasy Silver. And the price for this? 349.99 EUR, which should be roughly $390 when directly converted. Not a bad deal considering how it nearly matches flagships from other brands while costing almost half as much. Wu Dezhou, Huawei’s Director of Product Line for Honor, said that the Honor 7 targets 3 main DNA characteristics: quality, battery life, and signal. And in most cases, Huawei was able to deliver. The build quality of the smartphone is definitely something you’d expect from a top tier device and shatters any preconceived notion about Chinese-made smartphones. Although they could have thrown in a fast charger in the package, the 3,100 mAh battery isn’t half bad and is one of the biggest in the market. Huawei’s use of two cellular antennae is also rather ingenious. 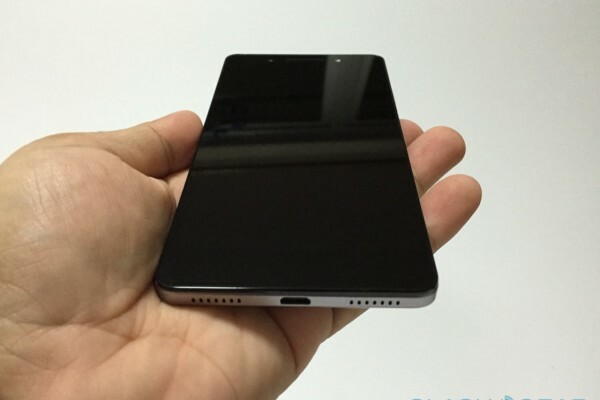 And the fingerprint scanner? Definitely something to look for in other high-end smartphones. 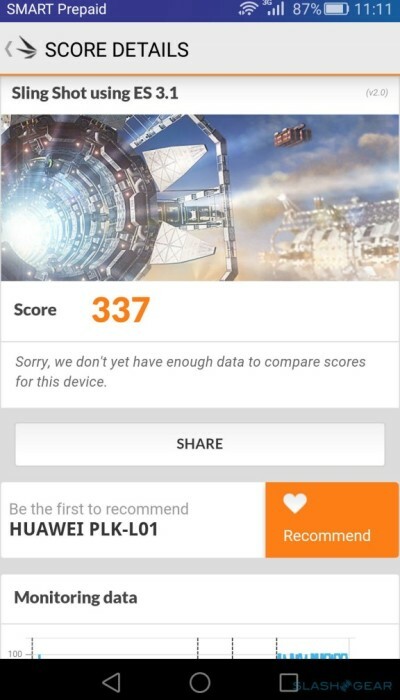 Could have Huawei done better? It definitely could and there are a few rough areas where the smartphone disappoints. 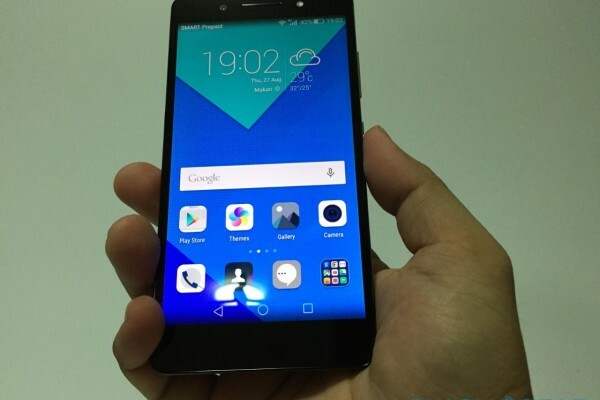 Nonetheless, the Huawei Honor 7 is a solid and pleasant step forward for the Chinese company. We can look to forward iterations of its flagship line, which will hopefully not only carry on this legacy but also take it to the next level. 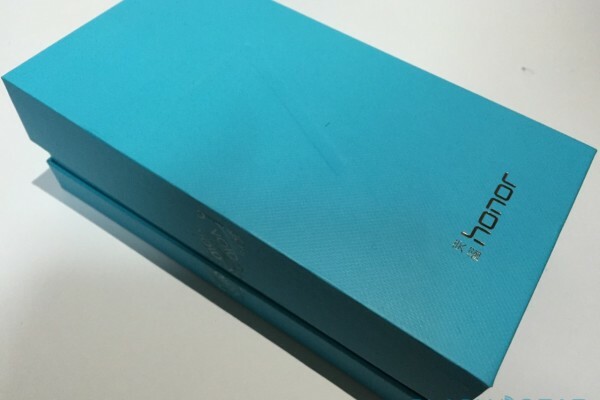 • The Honor 7’s solid and premium build is a joy to hold, even if it is on the large side. • The placement of the fingerprint scanner might be questionable, but its multiple functionality is not only useful but habit-forming. • The Kirin 935 is a capable powerhouse and even though the Mali-T624 is a little dated, it still performed well in actual use. • The display is clear and bright though not as color accurate as some current flagships in the market. 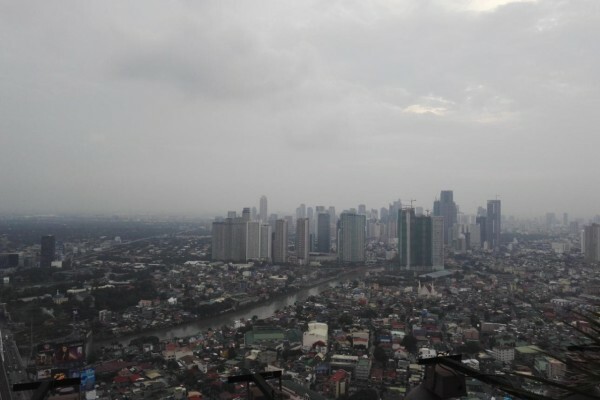 • The camera, while not exactly the best in class, still performs rather well on average. 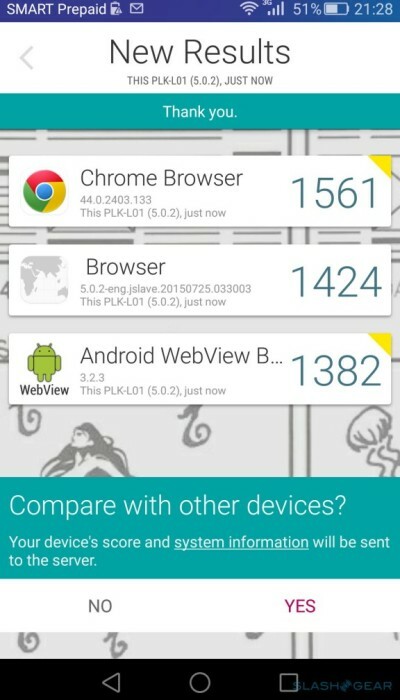 • Phone Manager is one “bloatware” app that actually makes sense. • Audio definitely needs a bit of work and a lot of bass. • Despite its advertised one-hand friendliness, the location of the volume rocker in relation to other buttons makes that a little difficult, especially in the left hand. 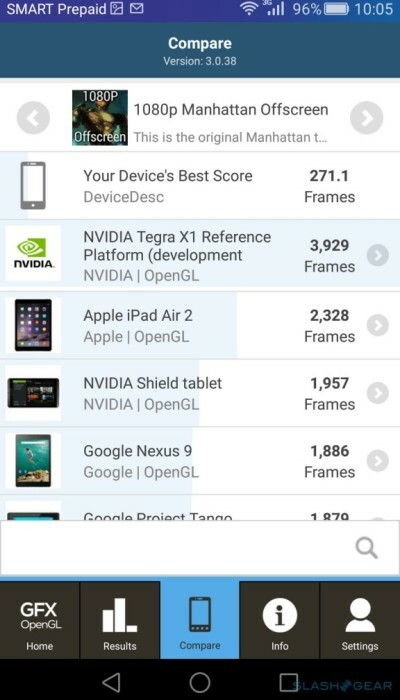 • 16 GB on a 2015 flagship? 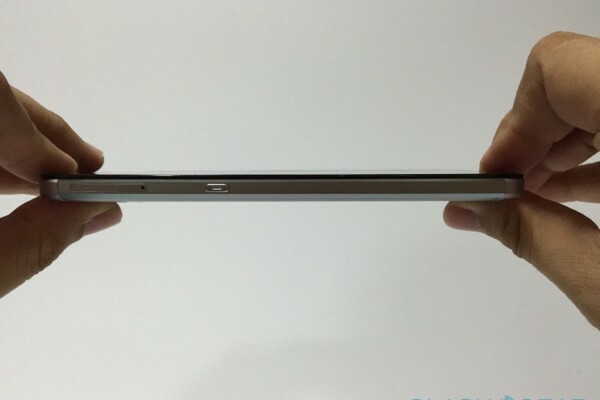 Good thing there’s a microSD card slot.